Welcome to your site. Take advantage of time saving services and treat yourself to exclusive offers. When you add a vehicle, you gain quick access to information and services on the site, including tools that make managing maintenance and service records a breeze. Plus you’ll receive service offers and exclusive benefits all courtesy of the Acura Owners site. Your Account Manage your vehicles, select a dealer and set your communication preferences. 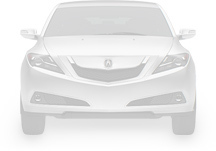 Feature How-to by Model Explore the range of features your Acura has to offer and learn how they enhance your driving experience. Schedule Service Peak performance demands skilled maintenance. Schedule service online with a participating Acura dealer. Owner's Manual & WarrantyAccess your owner’s manual and vehicle warranty information. Get Service RemindersGet personalized reminders when your Acura is due for service.